Collective worship is an integral part of the day at Princess Frederica. Children enjoy an act of worship every day. The week starts with a celebration assembly led by the headship team. We acknowledge the hard work and efforts of children and present awards. And, of course, we sing! Each Thursday our local clergy visit the school to lead a Clergy collective worship. A special programme of worship is devised throughout the year marking Christian celebrations and festivals. During clergy assembly we enjoy Bible readings and pray together. Every Tuesday and Wednesday children sing as part of school worships. Please listen below to some of our favourite tunes. On Friday we hold special assemblies, house group meetings and competitions. Each class holds a class assembly at some point during the year. Classes prepare a performance about the work undertaken in their classes over the course of the term. We always start our assemblies with a school candle and finish with a prayer. 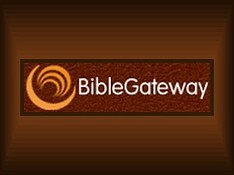 Use the Bible Gateway to find different versions of the Bible. Collective worship is an important part of school life. Please see our policy below for our collective worship policy. Please see RE policy below. Each classroom has a prayer box that children are encouraged to use. They write their own prayers to thank God and also to ask for guidance. Each week, prayers the children have written are shared in our Clergy Assembly. Please help me improve my work. Thank you for making me be in this class and thank you for my friends. thank you for our hot school dinners. thank you for our friends and family. Thank you for creating the world, because without you we would not be here right now. I pray that we will have good times full of peace and hope and I thank you for the food that means we do not starve. Thank you for saving us from our sins by dying on the cross. Thank you for our lives, parents, food and all these lovely things. We also thank you for our opportunities to do great things with out lives. Lord, we thank you for the whole world and its beautiful colours. These prayers were shared on Thursday 2nd February. Thank you for houses that we live in and thank you for food. Thank you for creating the earth and its contents. Thank you for giving our lives to us and our food too.